Peel the apples, cut into quarters and remove the core. Heat a frying pan until hot and add the sugar. 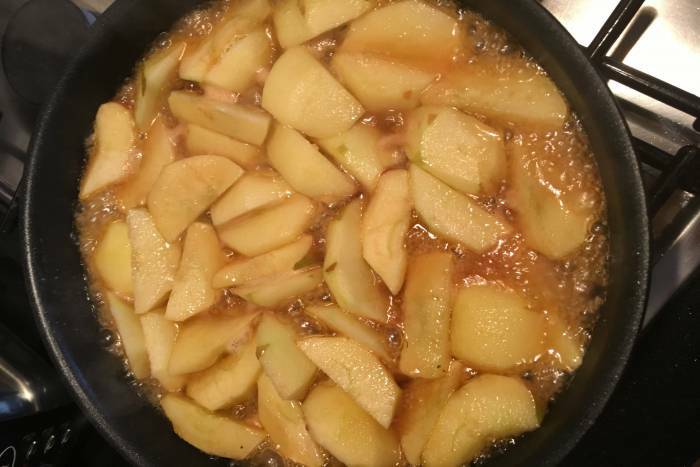 Melt, without stirring, to obtain a caramel and then add the butter and the apples. Lower the heat and allow the apples to caramelise. Place the apples in the base of inividual tart tins. Cut the puff pastry into 6 discs and use them to cover the apples. Pierce a small hole in the centre of the pastry, this will allow the steam to escape as the tart Tatins cook. Transfer to the oven and cook for 20-25 minutes until the pastry is golden brown. For the Calvados cream: place the Calvados, double cream and sugar in a bowl. 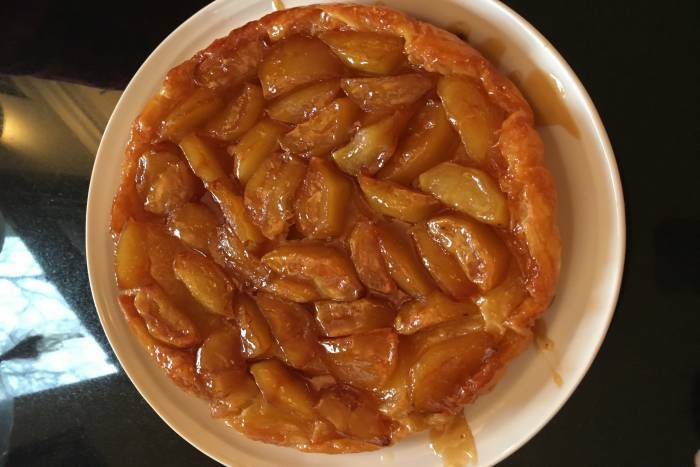 Whisk until thick and serve with the Tarte Tatins.